The Ellipse demonstrates unbeatable value for money in the radiator world. This is an extremely versatile radiator, available in sizes varying from 1000-8000 BTU (293-2345 watt) and it can be mounted both horizontally and vertically. The radiator is available in three different colours: black, white and anthracite to fit most spaces. 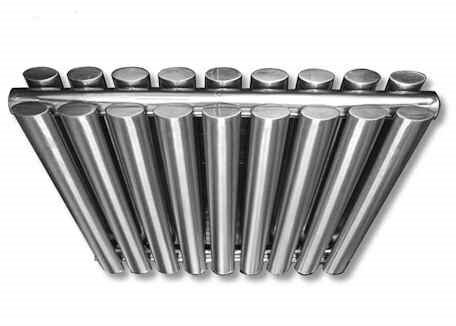 The sphere is a fantastically versatile stainless steel radiator which comes with a 25 year manufacturers guarantee as standard. 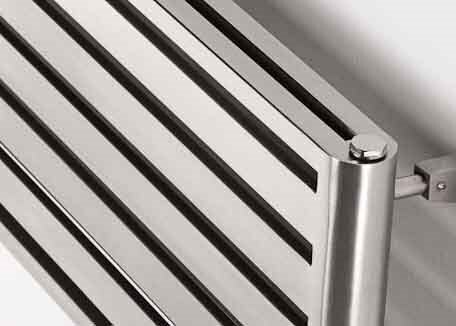 The finish is brushed stainless steel along the oval bars, with a polished top to them giving a very stylish modern look to the radiator. Available in a number of sizes and types, this radiator can be anything from a bold statement in a room to a subtle but stylish addition. The Aeon twister is our best selling radiator from the Aeon range of designer radiators. As the largest displayer of Aeon anywhere in the UK (which you can see seven days a week in our showroom based in South Manchester – click here for directions) Aeon represent our top selling brand. 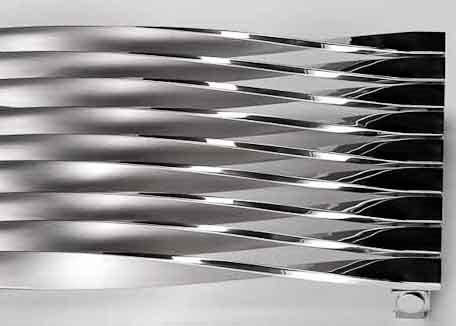 The twister is a beautiful fusion between brushed and polished stainless steel which can be mounted both horizontally and vertically, with 180°/360°/720° twists showing the two contrasting surfaces. The Aeon Supra is an extremely popular designer radiator from the Aeon range with many satisfied customers purchasing from us as we are Aeons showcase showroom (we are the largest Aeon showroom in the UK). 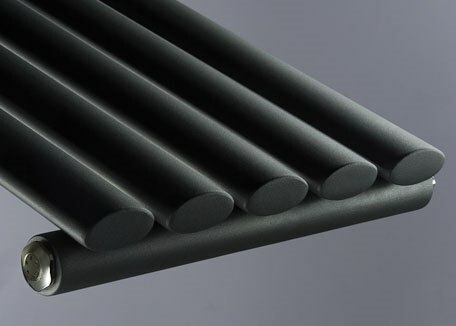 It is also a personal favourite radiator here at A1 Radiators due to its sleek stylish design. The Supra has been manufactured in stainless steel to Aeons high standards which means it comes as standard with a 20 year manufacturers guarantee.